Ben Watson 2008: 'Oodles of doodles? Doodling behaviour and its implications for understanding palaeoarts'. Rock Art Research 25, 35-60. Sensory Archaeology: How Far Can It Go? The forthcoming Sensory Archaeology conference raises the question of how far we can reasonably expect to be able to take such new approaches to archaeology, in particular landscape archaeology. While the interest is there to explore new dimensions, do we need to clearly separate speculation from more 'traditional' evidence? Andrew Fleming's article is cautionary; the Sensory Archaeology conference site gives an overview of where the subject is and how it might proceed; Erin Gibson's paper is a recent piece by a post-processual landscape archaeologist which hopefully will prove interesting to discuss. Making Sense Of The Past: Toward A Sensory Archaeology - 27th Annual Visiting Scholar Conference, Center for Archaeological Investigations, Southern Illinois University Carbondale, USA. Details at http://www.cai.siuc.edu/vspages/day/vsconf.html and, in particular, information about sensory archaeology at http://www.cai.siuc.edu/vspages/day/read%20more.html. Erin Gibson, 'The Archaeology of Movement in a Mediterranean Landscape', Journal of Mediterranean Archaeology 20.1 (2007), 61-87. Andrew Fleming, 'Post-processual Landscape Archaeology: A Critique', Cambridge Archaeological Journal 16 (2006), 267-80. Graeme Clarke and Heather Jackson (in press): 'Evaluating Cultural and Ethnic Identities Fom Archaeological Remains: The Case of Hellenistic Jebel Khalid'. This paper attempts to tease out some long-held assumptions about Central Asian Iron Age oases being solely settled, agricultural zones and explore the archaeological evidence underpinning them. It is a draft for a contribution to a forthcoming book on pastoralism edited by P. Nick Kardulias. C. Platt, 2007: ‘Revisionism in Castle Studies: A Caution’, Medieval Archaeology 51, 83-102. O. Creighton and R. Liddiard, 2008: ‘Fighting Yesterday's Battle: Beyond War or Status in Castle Studies’, Medieval Archaeology 52, 161-9. Medieval Archaeology is available online through the Library catalogue. C. Holtorf, 'Beyond Crusades: How (Not) to Engage with Alternative Archaeologies', World Archaeology 37.4 2005, 544-51. R. J. Wallis and J. Blain, 'Sites, Sacredness and Stories: Interactions of Archaeology and Contemporary Paganism', Folklore 114.3 (2003), 307-21. Robert Witcher, Divya P. Tolia-Kelly and Richard Hingley 2010: 'Archaeologies of Landscape: Excavating the Materialities of Hadrian's Wall', Journal of Material Culture 15, 105-28. 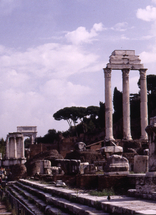 Raymond Howell 2000: 'The Demolition of the Roman Tetrapylon in Caerleon: An Erasure of Memory?' Oxford Journal of Archaeology 19, 387-95. Google Earth has proved to be a revelation for archaeology by providing an alternative view on past landscapes easily and freely accessible. But its very existence and its aim of 'democratisation' of global imagery has fuelled debates about sovereignty, privacy, ownership and censorship. In 2009, a symposium held at the annual Society for American Archaeology meeting on Recent Research on Mesoptamian Urbanism: Origins, Structure, Economy, was enlightening yet somehow disturbing in its almost complete reliance on Google Earth and other satellite imagery for new 'field data', due to the fact that none of the archaeologists present had been able to enter Iraq to collect new data for almost a decade. This easily accessible data is, however, problematic and Myers discusses the use of this panopticon type gaze and the issues of a militaristic, cartesian view of sites and landscapes. The article by Myers also raises issues about the application of archaeological approaches to the recent past, and its engagement with modern politics. The use of Google Earth for surveillance and access to sites 'closed' on the ground by modern government policies and military interventions are very pertinent to the reasons behind the Thomas et al. article. Thomas's article showed that despite being prevented by the UN and its operations against the Taliban from conducting fieldwork on the ground, archaeology is still possible in Afghanistan. David C. Thomas, Fiona J. Kidd, Suzanna Nikolovski and Claudia Zipfel. 2008: 'The Archaeological Sites of Afghanistan in Google Earth', Aerial Archaeology Research Group Newsletter 37 (September), 22-30. Adrian Myers, 2010: 'Camp Delta, Google Earth and the ethics of remote sensing in archaeology', World Archaeology 42 (3), 455-67.